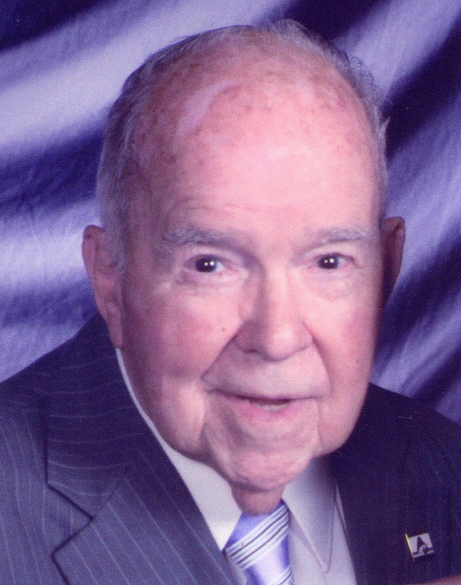 Herbert Levi David Doggett, 92, of Church Hill Rd., Myersville, MD, a retired Methodist minister and a District Superintendent in the Baltimore-Washington Conference, died Sept. 3, 2018, surrounded by his family at Homewood Frederick where he received care over the past year. He and his wife Joanna Mae (Hauver) Doggett married in 1946 and enjoyed their Myersville cabin ‘getaway’ during his parish ministry while serving seven Methodist churches over 42 years in Frederick, Silver Spring, Catonsville, throughout the Hagerstown District and Western MD, Potomac, and Wheaton. He also served six years as Director of Development at the Asbury Methodist Village CCRC in Gaithersburg helping to raise benevolent care funds. Joanna Doggett, a co-worker in his ministry and a school teacher of institutional cooking, restaurant management, and catering, died at age 62 in 1988. Born June 25, 1926 in Baltimore, the 3rd of three children born to the late Carroll A. Doggett, Sr. and Evelyn Lee Doggett, Herb Doggett attended high school at Baltimore Polytechnic Institute, and Western Maryland College (McDaniel), before attending Union Theological Seminary in NYC, for his Master of Divinity degree, and serving his third church in Island Park, L.I., NY. He later received an Honorary Doctor of Divinity from McDaniel College, and Recognition of 50 Years of Service from the Board of Ordained Ministry of the Methodist Church. Mr. Doggett married Florence Lee King in 1990, with 10 of their grandchildren serving as attendants. After retirement, Rev. Doggett volunteered part-time at Asbury raising funds, served as a Trustee and President of the Community Foundation of Frederick County, performed interim pastorates at local churches in the conference, and guest preached from their pulpits. He also enjoyed photography, creative woodworking in his workshop, oil painting, and travel. In 1996 at age 70, he received his first computer, and quickly became proficient in its use writing and producing greeting cards and a monthly newsletter with articles, ‘editorial comments’ on current events, and plenty of color photographs. For 11 years Mr. Doggett was also a part-time volunteer Bike Patrolman for the National Park Service along the C & O Canal, and worked in the Visitor Center in Williamsport, MD. Surviving in addition to his wife, Florence Doggett, are his four sons, William, (Suzanne), Richard (Beth), Lawrence, and Frederick (Tychelle); his daughter-in-laws Terry Gosnell, Cynthia Doggett, Ruth Rhoderick; his brother Carroll A. Doggett, Jr. (Nan), nine grandchildren, Scott Doggett (Jenn), Casey Dawson (Nick), Tyler Doggett (Jeannette), Drew Doggett (Kristin), Dustin Doggett (Kelsey), James Doggett (Caitlin), Molly Doggett, Dana Doggett, Harry Doggett; Florence’s daughters Susan Heflin (Jay) and Laurie Wilson (Mike), three of Florence’s grandchildren Wesley, Patrick, and Ryan, and nine great-grandchildren. A Memorial Service and celebration of life will be held at 2:30 pm, Sunday., Sept. 16 at Middletown United Methodist Church, 7108 Fern Circle, Middletown, MD. In lieu of flowers, memorial contributions may be made in Herbert Doggett’s memory to Asbury Methodist Village, Community Foundation of Frederick County, Middletown United Methodist Church, or Homewood at Crumland Farm. Arrangements were made by J.L. Davis Funeral Home, Smithsburg, MD, and online condolences may be offered at, www.jldavisfh.com.